Food procurement under the Mid Day Meal Scheme (MDM), the world’s largest school food programme that provided cooked meals to over 97 million children in 2016-17, is gradually becoming centralised. This is a worrying shift as decentralised decision-making to the level of the schoolteachers has been at the heart of the scheme on which the Centre plans to spend Rs 10,500 crore in 2018-19. The move, many fear, exemplifies how malnutrition is being converted into an opportunity to expand markets and push profits. Over the past year, the Centre has issued two directives to centralise foodgrain procurement. In December 2017, the Ministry of Human Resource Development wrote to all states and Union Territories that pulses would be provided “in kind” from the buffer stock of the National Agricultural Cooperative Marketing Federation (NAFED). The move was primarily to help NAFED, the apex organisation of marketing cooperatives for farm produce in the country, exhaust its buffer stock of 1.9 million tonnes that it was unable to disburse. Five months prior to the December order, the ministry had announced that MDM should use fortified varieties of salt, wheat flour, edible oil, delivered through the public distribution system. “Mandatory fortification promotes centralised procurement reducing sensitivity towards local food culture, biodiversity and local livelihood,” says Debjeet Sarangi, founder and managing trustee of Odisha-based Living Farms, an organisation that promotes eco-friendly agricultural practices. Fortification also opens up MDM to the private players who have been lobbying to enter the scheme. “Informal proposals of introducing pre-packaged foods or ready to eat foods in the name of fortification and addition of supplements are a huge concern. There is a strong push for this,” says Harsh Mander, director of Delhi-based Centre for Equity Studies, a research and advocacy organisation that deals with issues of social justice. Mander’s fear is not unfounded. On October 7, 2004, the Supreme Court ordered that “contractors shall not be used for supply of nutrition in anganwadis” and that funds under the Integrated Child Development Services, a government programme to ensure nutrition of children under 6 years and their mothers, shall be spent by making use of village communities, self-help groups and mahila mandals for buying of grains and preparation of meals. Under MDM, wheat and rice grains have always been procured centrally by the Food Corporation of India (FCI) and sent to states. And this arrangement has led to problems with the quality of foodgrains, a point that has repeatedly been pointed out in government reports on MDM. The last performance audit report of MDM by the Comptroller and Auditor General of India in 2015 says the problems in the scheme includes supply of poor quality rice, inadequate monitoring and evaluation. Due to the centralised arrangement, Sikkim, which became India’s first organic state in 2016, provides non-organic grains under the scheme. Poor rice quality prompted Telangana to ditch the rice provided by FCI for a better quality. N C Saxena, former member of the erstwhile Planning Commission, says centralisation opens up the chances of corruption at high levels. “In contrast, localised procurement can lead to petty corruption,” he says. Given the challenges, experts suggest that the Centre should focus on localised procurement of food items, which will strengthen decentralised decision-making. They say centralised procurement sets aside cheaper, more appropriate and locally produced foods, and imposes an expensive form of packaged nutrition on children. “Local sourcing of vegetables and grains for schoolchildren will not only increase community participation and ownership and favourably influence the quality and safety of food served, but would also benefit movements of self-help groups and kitchen gardens. Importantly, it would help livelihood and environment,” says Amit Khurana, programme director, Food Safety and Toxins, Centre for Science and Environment, a Delhi-based non-profit. Local procurement will also reduce transportation cost and losses, says Ramajaneyulu G V, executive director, Centre for Sustainable Agriculture, an independent research organisation in Telangana that works on sustainable agriculture models. Experts say going local will introduce coarse grains such as millets under the scheme. 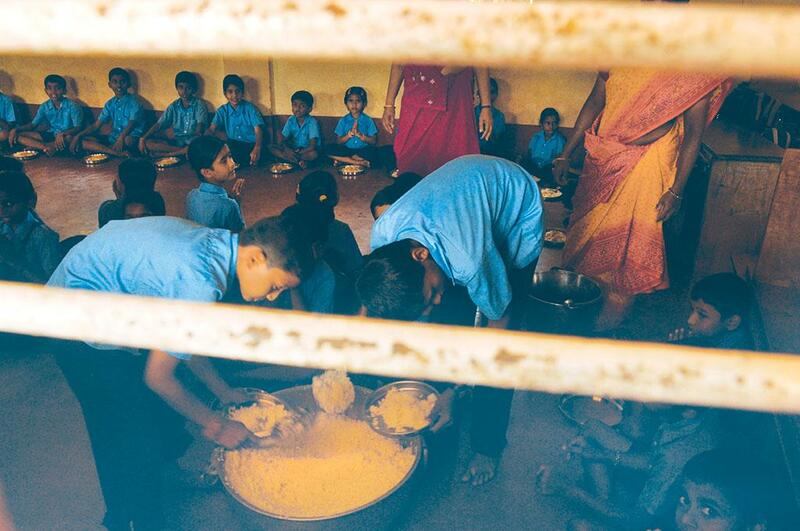 While Mid Day Meal Rules, 2015 allows the use of coarse grains that have ecological and health benefits, only wheat and rice are currently being supplied. FCI says it does not have the expertise to handle coarse grains that require procurement, processing and distribution networks. “So states should procure them locally,” says P C Singh, deputy general manager procurement, FCI. In January 2018, Odisha announced it will soon provide millets twice a week under MDM. The experiment was launched under the state’s Millet Mission and will cover schools in nine districts in a phased manner over a period of five years. “We are expanding the coverage of the Millet Mission programme now as its progress is good and people are showing a lot of enthusiasm over it. We are trying to select the most productive and feasible varieties in terms of taste and preparation. Little millet, locally called kutki, is being explored,” says Saurabh Garg, principal secretary, Department of Agriculture and Farmer’s Empowerment, Odisha government. As per the Hyderabad-based National Institute of Nutrition (NIN) calculations, ragi (finger millet) has 34 times more calcium, four times more iron and 18 times more fibre than rice. Little millet has 1.7 times more calcium, 13 times more iron and 38 times more fibre than rice. Even Akshay Patra, a non-profit that provides MDM to over 0.2 million children in Telangana, introduced millets in January 2018. “We are providing millet chikki and namkeens in Hyderabad and Warangal,” says Yagneshwara Dasa, chief operating officer, Akshay Patra, which runs Telangana’s largest centralised kitchen under MDM. Introducing local food varieties is possible as close to 90 per cent kitchens in MDM are at the school or local community level. “Direct procurement of millets will provide stability to the local farmer and increase profits,” says R G Sharma, additional director, Department of Agriculture, Jaipur. The Centre should also explore the possibility of introducing organic food under MDM. This can be done by procuring foodgrains from local organic farmers certified under the Centre’s Param-paragat Krishi Vikas Yojana. The 0.25 million farmers already under the scheme are struggling to find assured markets, which MDM can provide. "The procurement of local organic food will bring in menu diversity particularly with respect to vegetables,' says G Kishan, commissioner, MDM, Department of Education, Hyderabad, Telangana. As per the 10th joint review mission conducted for MP and Telangana in 2017-2018, the use of fresh and seasonal vegetables, other than potatoes and tomatoes, was minimal in MDM. “Indian organic movement has remained a ‘niche’. It can be a mass movement if more farmers adopt it, which can happen only if their produce finds a market. No doubt that MDM can play a big role by providing much-needed assured markets,” says Khurana. (This story was first published in the 1-15th July issue of Down To Earth). Iodine and iron fortified salt for mid day meal and meals cooked in ICDS centres, should not be equated with centrally procured ready to cook packaged food. Fortified salt (iodine and iron double fortified salt) addresses the dual problem of iodine deficiency disease and iron deficieny anaemia. There use should be encouraged even if it means centralised procurement. On the other hand, ready to cooked (RTC) packaged food from corporate sector is not a good idea. RTC packaged or otherwise food can be prepared by local women and supplied as take home food for infants 6-36 months and pregnant women. This will help better targeting instead of take home food grains which are consumed by the whole family. 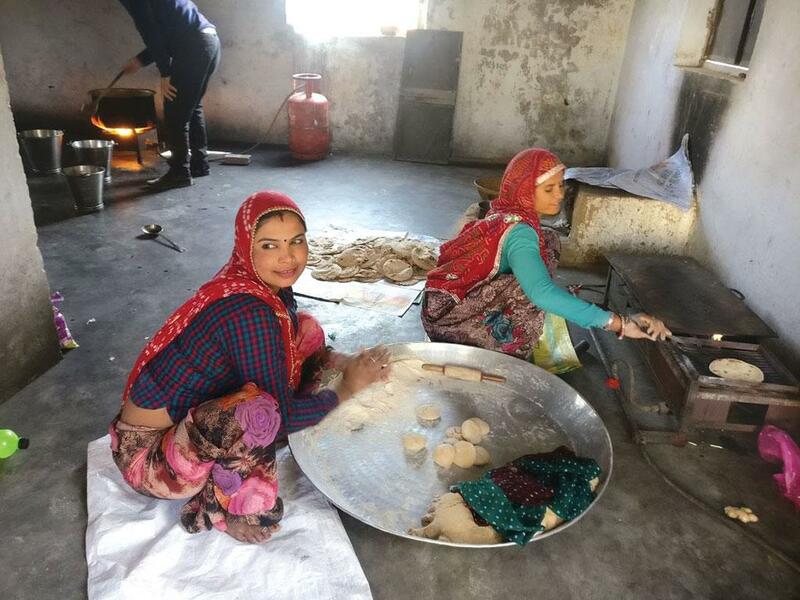 Decentralised procurement of food grains and and other foods for MDM etc and cooking has advantages unless centralised cooked and distribution like the Akshay patra model is possible to ensure regular supply of hygienically prepared cooked food.